No one wants to hear that they need a dental surgery; however, there may come a time when it is recommended. No matter if you need to have a tooth removed or want to complete your smile with dental implants, you need a great oral surgeon in Tomball. You have many excellent options in the area but not all will meet your needs. You need to find the perfect one to care for you to put your mind at ease while performing a successful procedure. Dr. James Geer understands you have an important decision to make. To choose the best one for you, there are several things you need to consider. 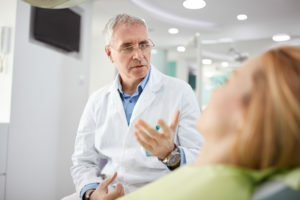 If you have recently been scheduled to have an oral surgery, you may be a bit hesitant about the procedure. You are sure to have plenty of questions regarding preparation and the recovery process. As your dentist in Tomball, Dr. James Geer understands your concerns. He wants you to feel at ease about the procedure to promote a stress-free recovery. He has the tips you need to prepare for oral surgery to make the recovery process easier. When it comes to choosing a dentist, it is important to understand that not all dentists are the same. Not all dentists are able to perform all of the necessary services you will need throughout the years, such as oral surgeries. As a result, you are often referred to other dentists and specialists to have your needs met. This is not only inconvenient, but also causes you to place your trust in a stranger. Now, you are able to benefit from oral surgeries with your dentist in Tomball. Dr. James Geer is more than just a dentist. He also holds a Doctorate of Dental Surgery so you are able to benefit from oral surgeries from a dentist you already know and trust.